Mage Titans 2015’s Newest Speaker! Speak to me! We told you it would be good – the confirmed line-up is taking shape we recently announced the next big name for Mage Titans 2015. Winging over from New York, you may know her as Magento Girl, we introduce you to: Seasoned Technology Leader, Back & Front End Developer, Large-Scale Architect, Managing … Continue reading Mage Titans 2015’s Newest Speaker! Mage Titans 2015 Speakers Announced! Mage Titans 2015 Back by high demand. We had such a great response from last November’s event, the inaugural Mage Titans, we decided that we definitely had to bring it back for another year. The date was announced at the start of April, (07-11-15, just in case you missed it!) 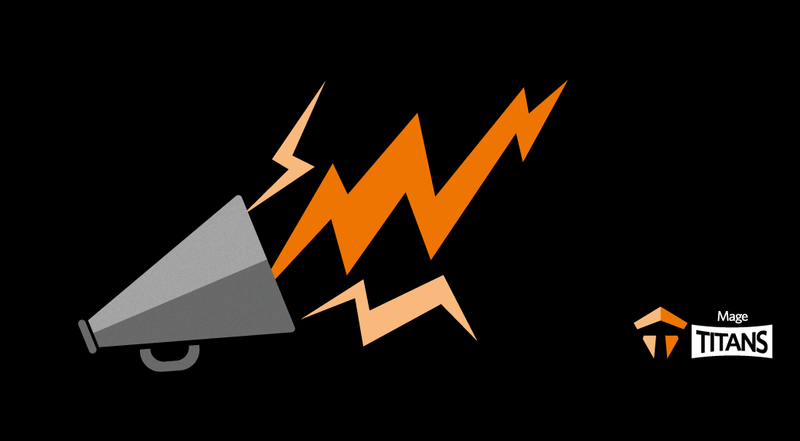 and we have been quietly … Continue reading Mage Titans 2015 Speakers Announced!